Chatting is becoming big business - chatting with robots, that is. A report released earlier this month by Transparency Market Research has pegged the value of the global virtual chatbot market at US$627.7 million (S$850 million) last year. The market for such computer programs that simulate human conversations is expected to be worth US$7.9 billion by 2024, growing at a compound annual growth rate of 32 per cent from this year. Last week, DBS - South-east Asia's largest bank - became the first bank in the region to invest in chatbots. It is working with US-based Kasisto - a spin-off from SRI International, which produced Apple's voice assistant Siri - to allow customers to do e-transactions by "chatting" with the bank on Facebook Messenger by the end of the year. Interacting with a chatbot is similar to chatting with a human being. Users type a question into a chat window, and the bot will answer. The current generation of chatbots works by recognising keywords and using pre-set responses from a database. By texting "Can you please pay my mobile bill? ", an intelligent e-banking chatbot will be able to recognise the request and process it after identifying and confirming the payee. A forerunner in this space is budget carrier Jetstar, which launched its Ask Jess virtual assistant in November 2013. It models a human call-centre agent, and has been handling about 150,000 conversations a month, mostly related to booking and payment queries. The airline said that 80 per cent of the queries were resolved without the need for escalation. "Customers could be waiting 45 minutes to an hour to speak to one of our customer-care team members two years ago, compared with an almost immediate response now," said Mr Robin Goh, a spokesman for Jetstar. Even the Singapore Government has thrown its hat into this artificial intelligence ring. Its Conversations As A Platform project, announced last month, aims to better help users navigate online government services in a conversation style they are familiar with. "Using chat to access government information and services may be more natural and preferred by citizens," said Mr Kwok Quek Sin, director of product management at the Infocomm Development Authority's (IDA) Government Digital Service division. IDA is working with Microsoft on a proof-of-concept of this project. "The shift to conversational computing will revolutionise the computing experience," said Mr Richard Koh, Microsoft Singapore national technology officer. The project will expand on the Singapore Government's Ask Jamie bot deployed on the websites of more than 10 government agencies, including the IDA and the Ministry of Education. Ask Jamie, a joint effort between IDA and the Ministry of Finance, was launched in 2014. It is still rudimentary, able to answer only frequently asked questions. However, the Conversations As A Platform project aims to go further. Its capabilities will expand to include simple tasks such as appointment booking or overseas travel notification. By 2018, its chatbot will be able to respond to personalised queries such as "What is my account balance?" and "When is my loan due?" The ultimate aim is to allow the chatbot to have learning capabilities to answer open-ended questions and make inferences to prompt users to complete a task. For instance, after a citizen notifies the Government of overseas travel, the bot automatically checks if his passport is near expiration and prompts him to renew it. The service can also submit his renewal application. Such advanced uses are not possible now due largely to security and privacy concerns and immature systems. 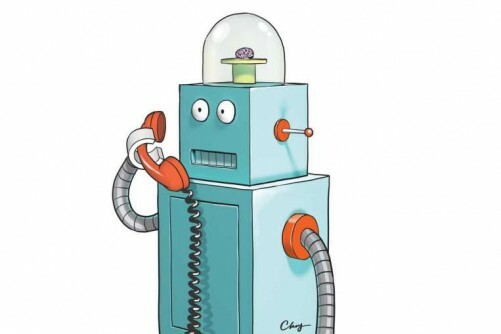 "For chatbots to be effective, they must have access to customer databases to provide personalised services," said Mr Tyson Macaulay, chief security strategist at cyber-security hardware maker Fortinet. But there will be security issues if the chatbot program is not designed to detect anomalies such as when data or questions are coming in too quickly from, say, an attacker bot. "An actual person, on the other hand, is better able to detect something fishy if transactions are coming in too quickly," he added. If chatbots are not intelligent enough to understand a user's language, it could result in a disaster. "Chatting with a poorly designed bot may result in the bot retrieving the wrong information like payment or health information," said Mr Nick Savvides, Symantec's security evangelist. "What's worse is it may lead to a wrong transaction that is hard to reverse."